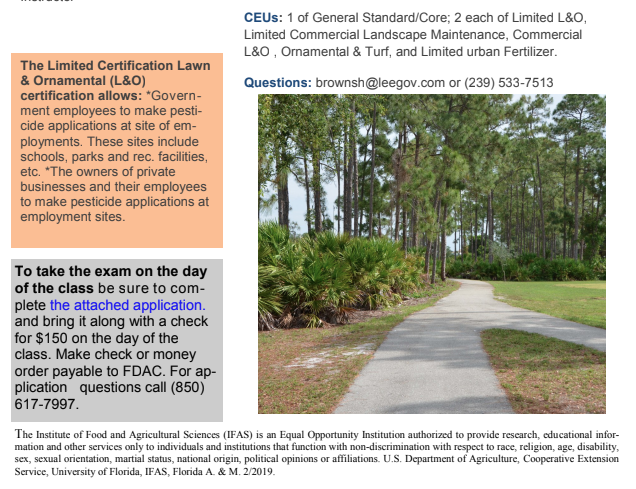 The Limited Certification Lawn & Ornamental (L&O) certification allows: *Government employees to make pesticide applications at site of employments. These sites include schools, parks and rec. facilities, etc. *The owners of private businesses and their employees to make pesticide applications at employment sites. 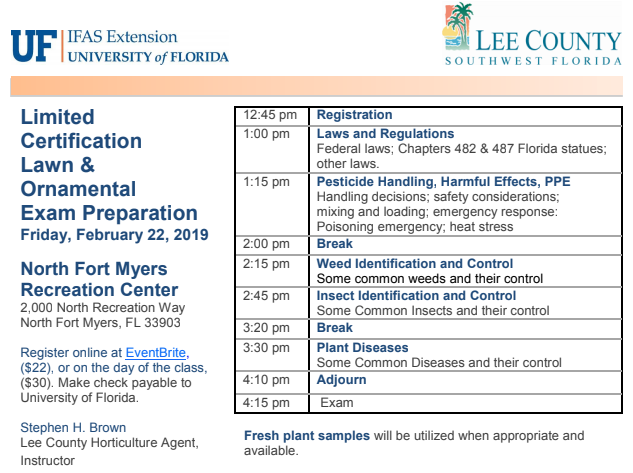 CEUs: 1 of General Standard/Core; 2 each of Limited L&O, Limited Commercial Landscape Maintenance, Commercial L&O , Ornamental & Turf, and Limited urban Fertilizer. To take the exam on the day of the class be sure to complete the attached application and bring it along with a check for $150 on the day of the class. Make check or money order payable to FDAC. For application questions call (850) 617-7997.